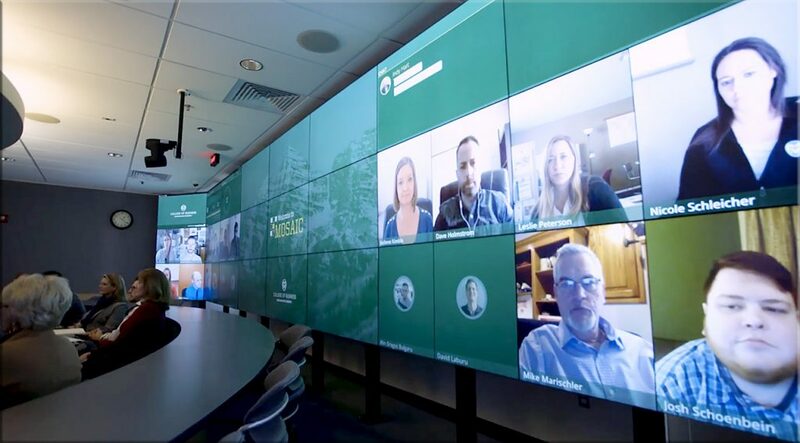 Equipped with a wall of 27 high-definition video screens as well as five high-end cameras, the newest classroom in Colorado State University’s College of Business is designed to connect on-campus and online students in a whole new way. 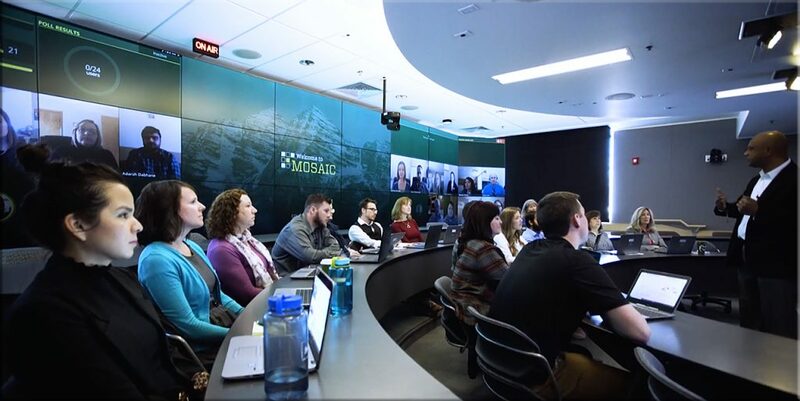 The College of Business unveiled on March 29 the “Room of the Future,” featuring Mosaic, an innovative technology – powered by mashme.io – that creates a blended classroom experience, connecting on-campus and online students in real time. 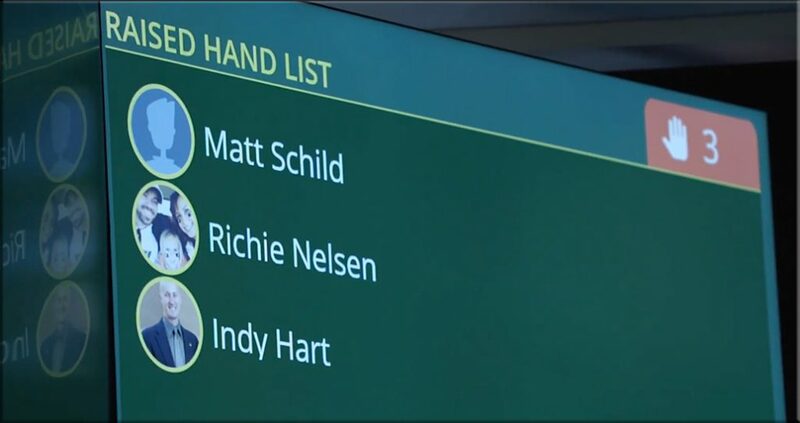 Offers more choice. More control. 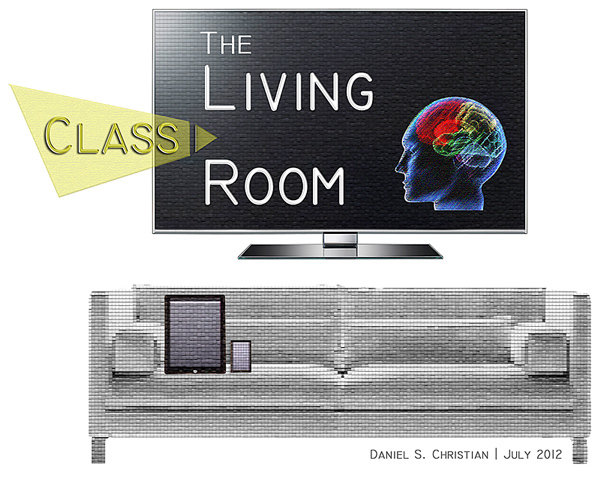 (Students could pick whether they want to attend the class virtually or in a physical classroom). If the resulting increase in students could bring down the price of offering the course, will we see this model flourish in the near future? 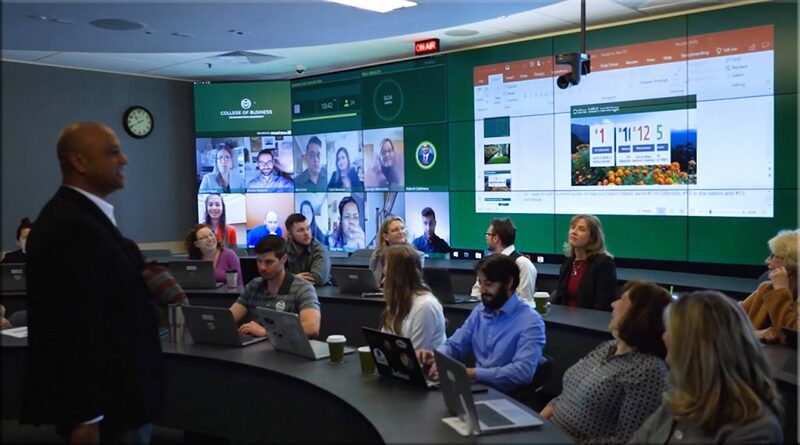 For struggling colleges and universities, could this help increase the ROI of offering their classes on their physical campuses? The technologies behind this are not cheap though…and that could be a show-stopper for this type of an experiment. 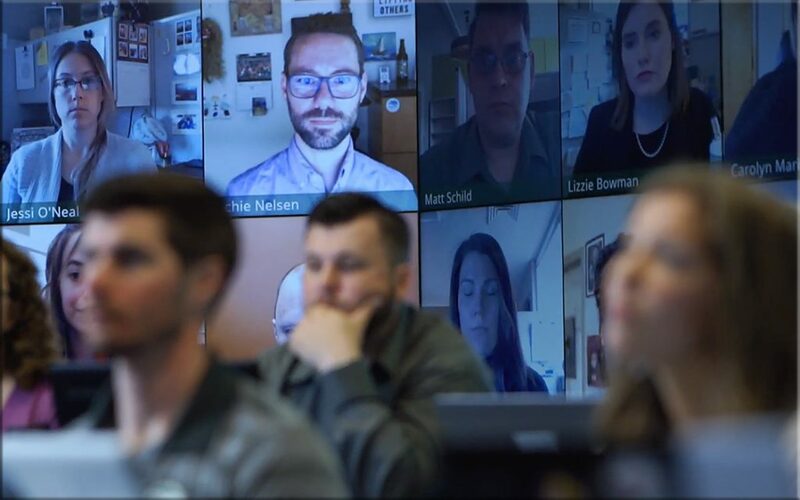 But…thinking out loud again…what if there were a cheaper way to view a group of other people in your learning community? 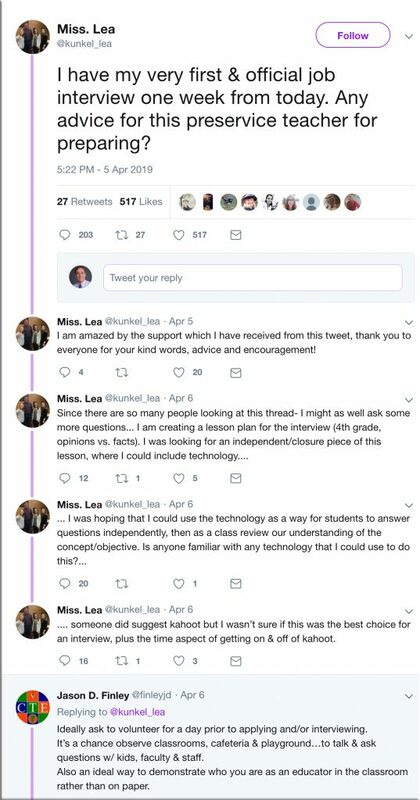 Perhaps there will be a solution using some form of Extended Reality (XR)…hmmm…. 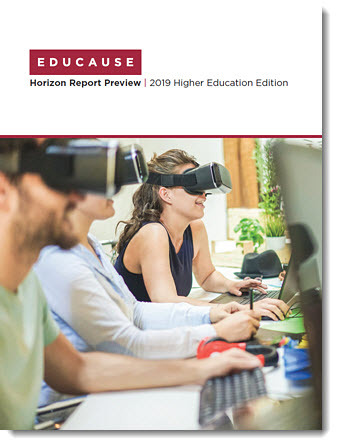 This report is the continuation of a multi-year study by QM and Eduventures to examine the changing landscape of online education, provide results to those who can use them and help those involved with online education place their institution within a broader context and possibly influence strategic decisions and organizational changes. 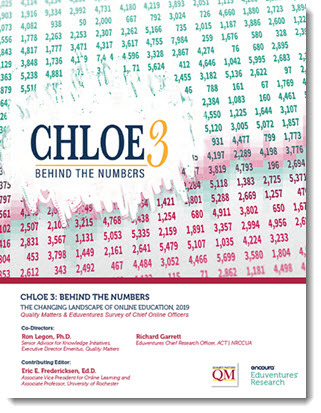 Please complete the form on this page to gain access to the 2019 CHLOE 3 Report. 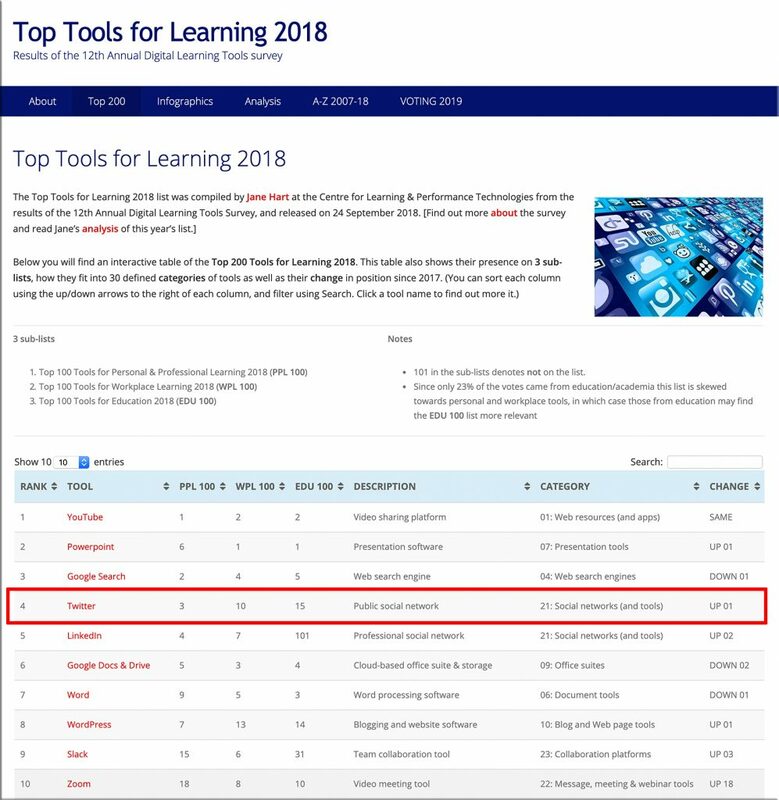 CHLOE 3 breaks new ground in identifying a number of different institutional approaches to online learning, as crystallized in the descriptions of five models (e.g. 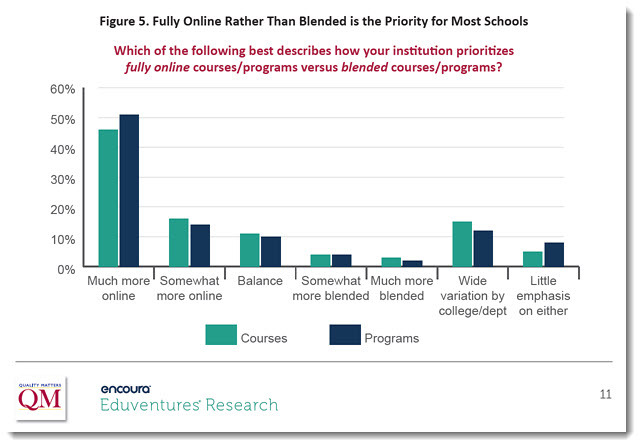 Enterprise Schools, Community Colleges). 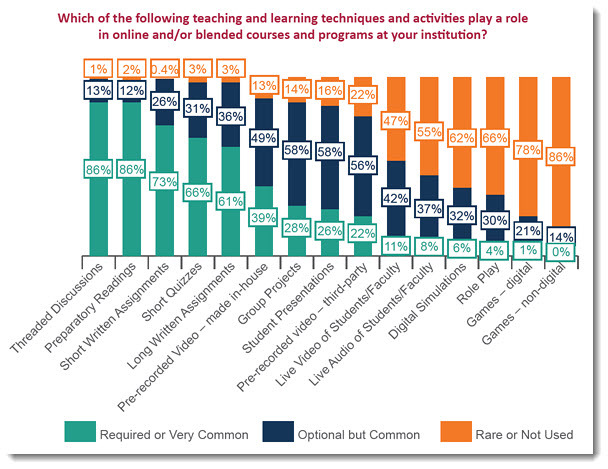 Major themes in CHLOE 3 include a more complete picture of the growth, prevalence, and scope of the Chief Online Officer position; the emergence of online committees and councils as a component of institutional shared governance; associations between online course structure, student engagement and outcomes; and the widespread neglect of coordinated blended learning. Instead, the researchers think the data suggests that—in any number of small ways—instructors who think their students’ intelligence is fixed don’t keep their students as motivated, and perhaps don’t focus as much on teaching techniques that can encourage growth. And while this affects all students, it seems to have an extra impact on underrepresented minority students. 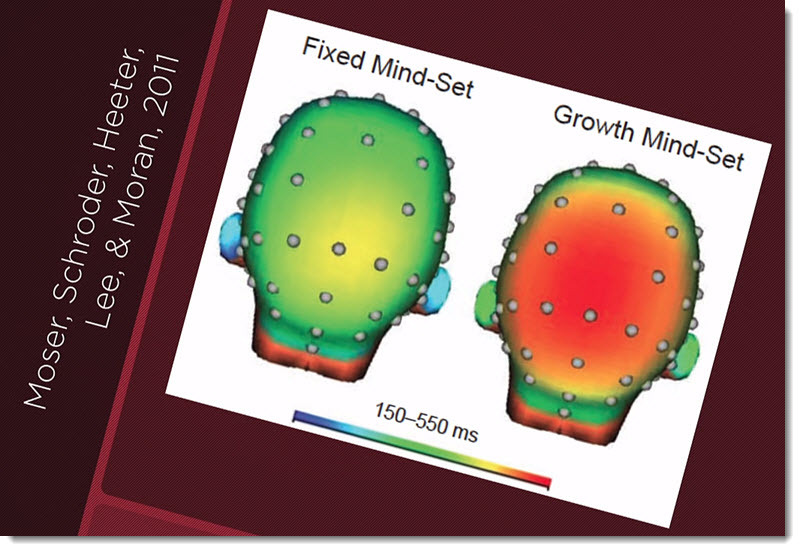 The good news, the researchers say, is that instructors can be persuaded to adopt more of a growth mindset in their teaching through a little education of their own. That small attitude adjustment could make them a more effective teacher, to the significant benefit of a large number of students. 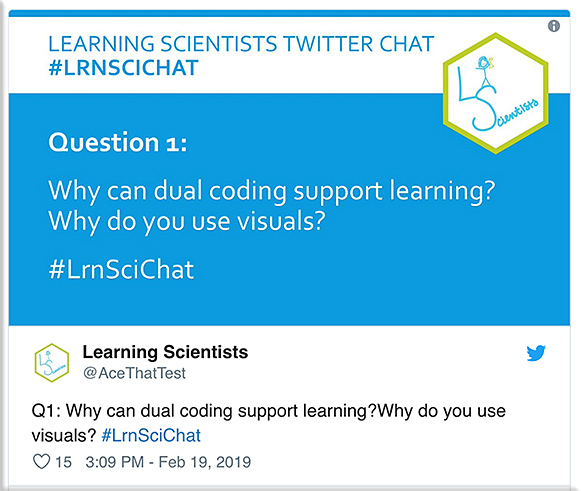 Summary of the #LrnSciChat on 19 February 2019 on Dual Coding in Learning and Teaching. 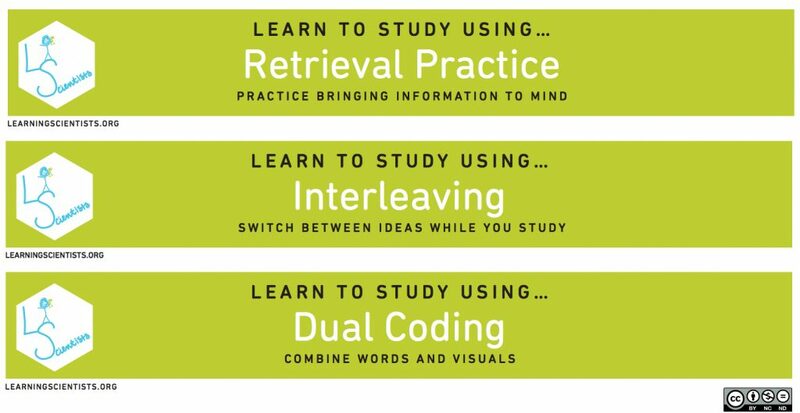 Dual coding is simply combining verbal and visual information to enrich the learning experience. Also see the posters out at The Learning Scientists website.